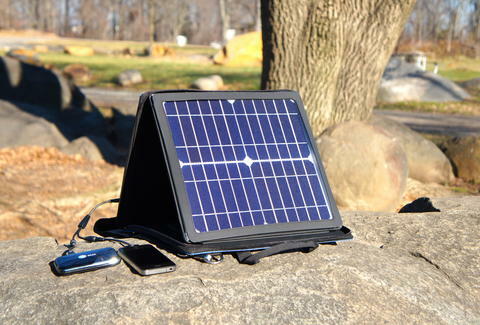 Power your gadgets the way that Captain Planet would with SunVolt, a portable solar power station by developer Don Cayelli. 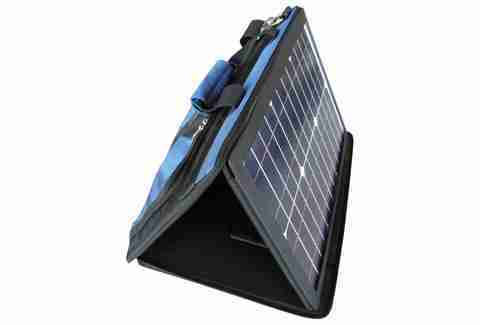 Designed to provide power on-the-go, SunVolt is housed in an extra-durable carrying case to protect it against the elements. Included with the station are a standard female USB, MicroUSB, and standard MiniUSB to accommodate the majority of your charging needs. 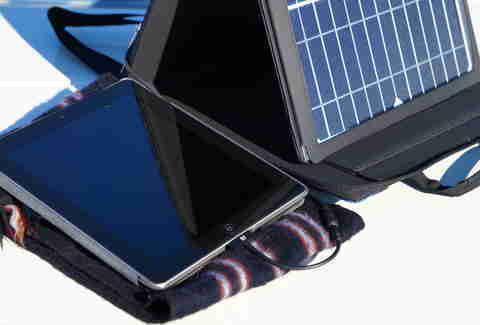 You can even harness and store the Sun's rays by getting the rechargeable lithium battery pack, which will keep you charged after dark. SunVolt comes in either 10W or 15W versions--the 10W model has two charging ports and the 15W model has three. Now, the next time you want to go off the grid, you can bring your GPS and your electric razor-- because the only person who can pull off the Grizzly Adams look is Grizzly Adams.